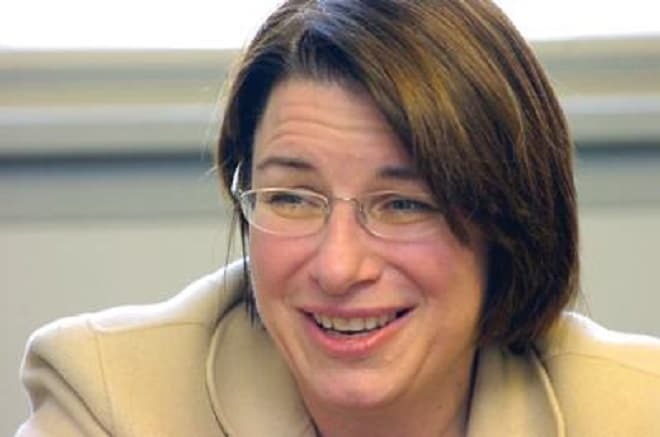 Amy Klobuchar is an American lawyer, politician and U. S. Senator from Minnesota. She is the member of the Democratic Party, where in 2009-2010 she was named the rising star. In 2006 Amy became Minnesota's first elected female United States Senator and maybe soon, in 2020, she will be the first female President of the U.S.
Amy was born in Minnesota to Rose and Jim. Her mother was a teacher, and her father was a journalist in the Star Tribune. Amy has a younger sister, Beth. 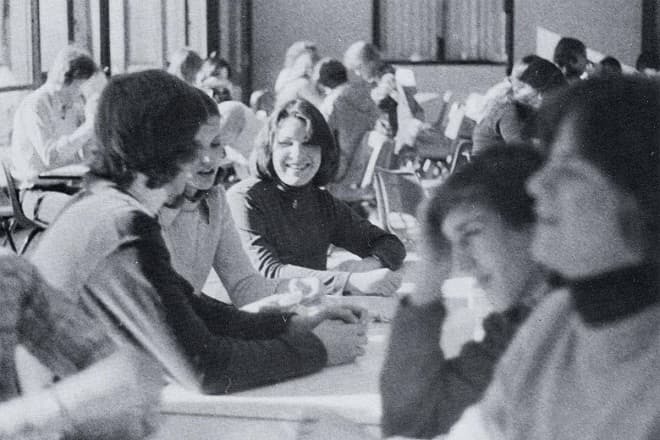 When Amy was at the age of fifteen, her dad left their family because of drinking issues. The divorce had a huge influence on the family, Amy's sister, Beth, even drop out of the school, leave family house and had personal issues for a while. In the 1990s, when Jim quit drinking, Amy and her father finally made peace with each other. Klobuchar got an excellent education. After school graduation, she went to Yale University, where she obtained her Bachelor's degree, and to University of Chicago Law School, where she received the Doctor of Jurisprudence degree. By the way, when she studied at Yale, she was a member of Yale College Democrats and an intern for Vice President, and prior Minnesota Senator, Walter Mondale. After graduation from the Law School, Amy worked as a corporate lawyer. In 1998 she was elected as an attorney of Hennepin County, and then in 2002, there was reelection with the result in her favor. In 2006 there was Senate election in Minnesota. At the general phase, Amy's opponents were Mark Kennedy (The Republican Party), Robert Fitzgerald (Independence Party of Minnesota), Ben Powers (The Constitution Party) and Michael Cavlan (The Green Party). During the polls, Amy has been leading consistently, and at the end, she has won with 58% of voices. She was the first woman that was elected to be U. S. Senator from Minnesota. In 2012 Klobuchar won the second term in the Senate with 65.2% of the vote, her opponent was Kurt Bills. In 2018 she ran for a third term and also won. "She has done better in that miserable Senate than most people there." 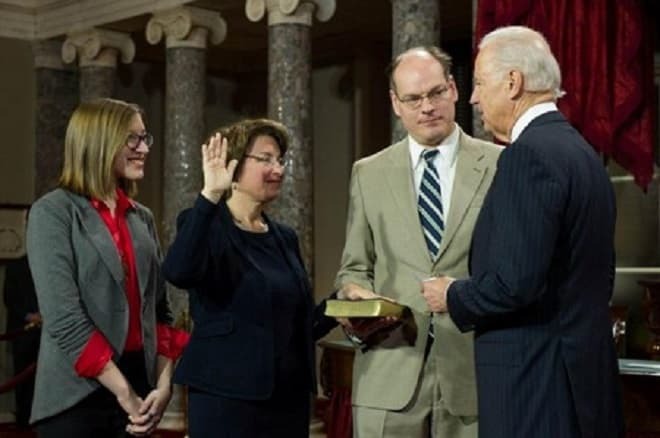 In 2016, at the 114th United States Congress, it was known that Klobuchar had passed laws more than any other Senate's member. Also, that year, she showed her interest in the relations between Russia and the U.S.A., when she went on a trip to the Baltic states and Ukraine. Then, in 2017 Amy created the commission to investigate the relations between Russia and President Donald Trump. That concern emerged after some reports about the close contact of Trump's campaign and Russian intelligence before the elections in 2016. “I don’t know. Have you?”, but later apologized for that. 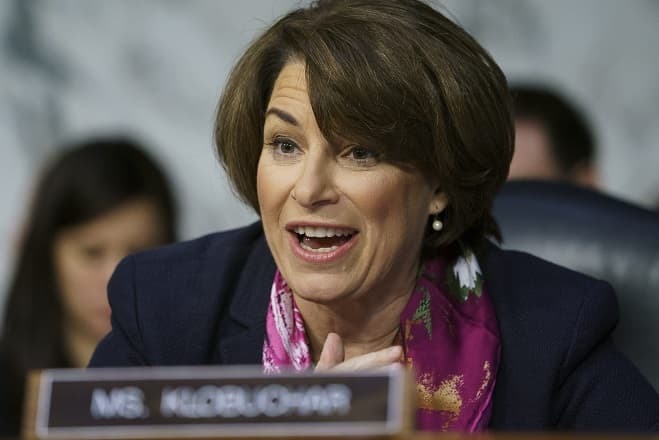 In 2019 there were some interviews with former employees in Klobuchar's Congressional office, and lots of them told that Amy had been abusing and humiliating her workers. 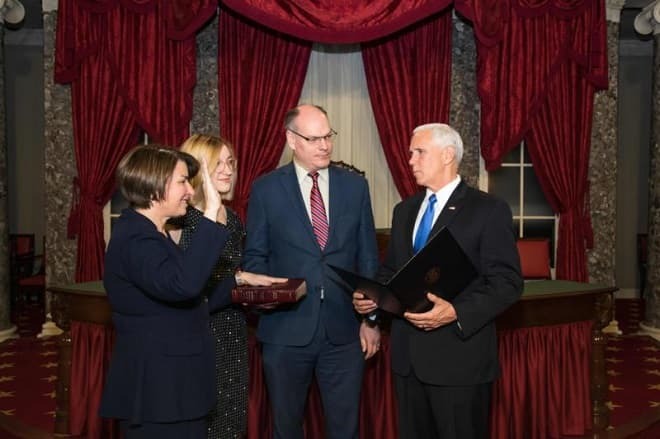 For the 116th U.S. Congress (2019-2021), Klobuchar is appointed to the various committees, including Joint Economic Committee, Senate Judiciary Committee, Committee on Agriculture, Nutrition and Forestry, Committee on Commerce, Science, and Transportation. At the beginning of the 2019 year, Amy announced that she would run for President in 2020. 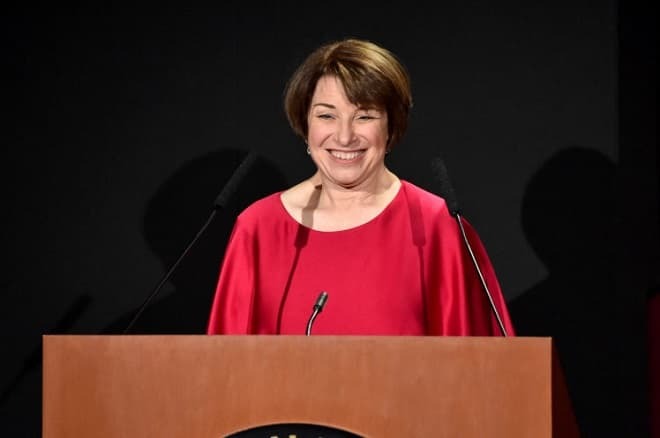 The New York Times and The New Yorker are writing that there is a chance for Klobuchar becoming the first female President of the U.S.A.
Klobuchar is a liberalist. She supports the LGBT community, legal access for abortion. In the environmental area, she would like to reconstruct The Clean Power Plan, that was suggested by the former U. S. president, Barack Obama and it is about one of the most important world’s issues, climate change. She also supports Obamacare, a health care reform that is known as the most significant achievement of B. Obama. 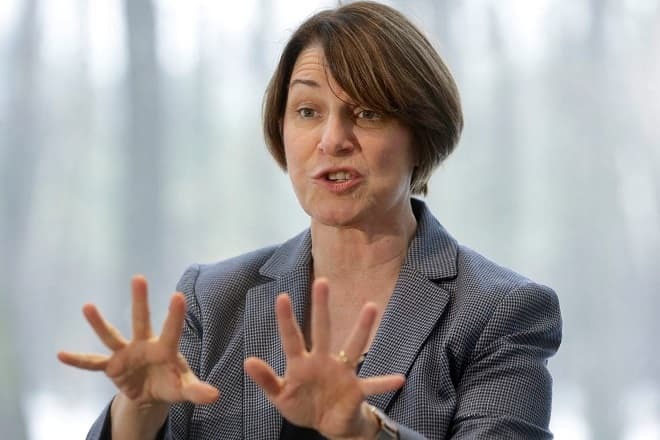 Klobuchar wants to decrease the expenses in the health area; she is also against the plan Medicare-for All (a health care system in which taxes cover the costs for health care). However, she believes that government-run health insurance would be better for people than private plans. Speaking about Klobuchar’s attitude to the crime, it’s rather clear. Her career started from being a prosecutor and that time she was called "tough on crime." Education, in Amy's opinion, should not be free of charge; she considers it unrealistic. She would instead make student loans more comfortable to get and college communities free. In 1993 Amy married John Bessler with whom she has never broken up, and there haven't been any rumors about this loving couple since then. Her husband is an advocate and a professor at the University of Baltimore School of Law and the Georgetown Law School. They have a daughter, Abigail. Klobuchar has published two books. In 1986 she wrote Uncovering the Dome, a case of political conflict based on the building of the Hubert H. Humphrey Metrodome, a sports stadium. Her second book is named The Senator Next Door: A Memoir from the Heartland (2015), it’s an autobiographical work about Klobuchar’s life story and her faith in the democracy. Amy, whose father was a Slovene American, is often asked whether she is Jewish. Actually, she is not. Speaking about her attitude to religion, she is a Congregationalist. There is a web site that is dedicated to Amy Klobuchar. It even has a possibility of writing an e-mail to her; you can choose any issue that you want to raise: abortion, education, gas prices, taxes, etc. Besides, every person can send her a message on Facebook; she is rather open for people to turn to her. Also, for helping the Klobuchar's campaign, you can become a volunteer and help her Team Amy develop. "We may come from different places. We may pray in different ways. We may look different, love different, but we all live in the same country of shared dreams." 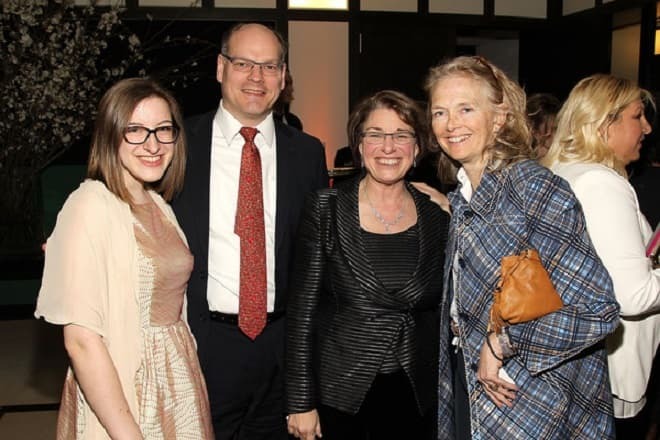 During her work, Klobuchar has been getting a lot of various awards. She was called Attorney of the Year by Minnesota Lawyer in 2001 and Best in Congress by Working Mother magazine in 2008. Amy fights against sexual abuse in the military service; she supports some new nutrition standards in food; generally, the list of her achievements in some issues connected to the social life of Americans is endless. And Klobuchar is still yearning for greater heights.